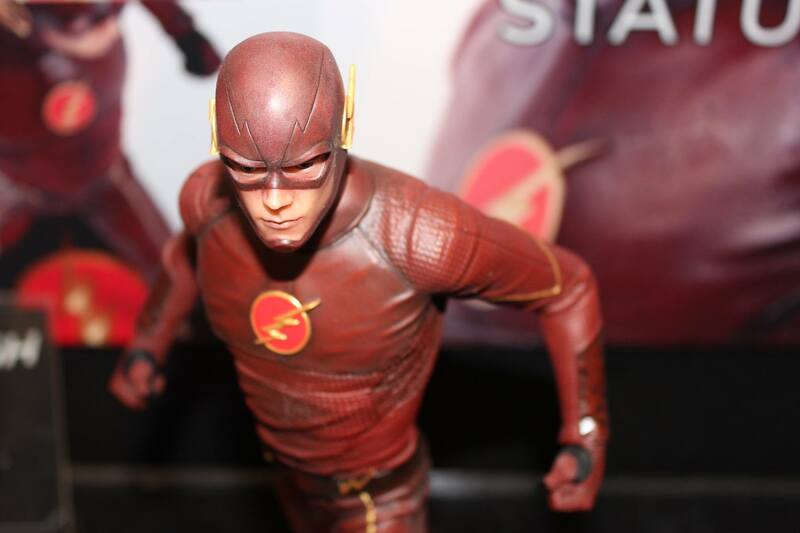 There are definitely some new additions to the DC Collectibles line featured at the NY Toy Fair this year, and not all of them are DCTV related. 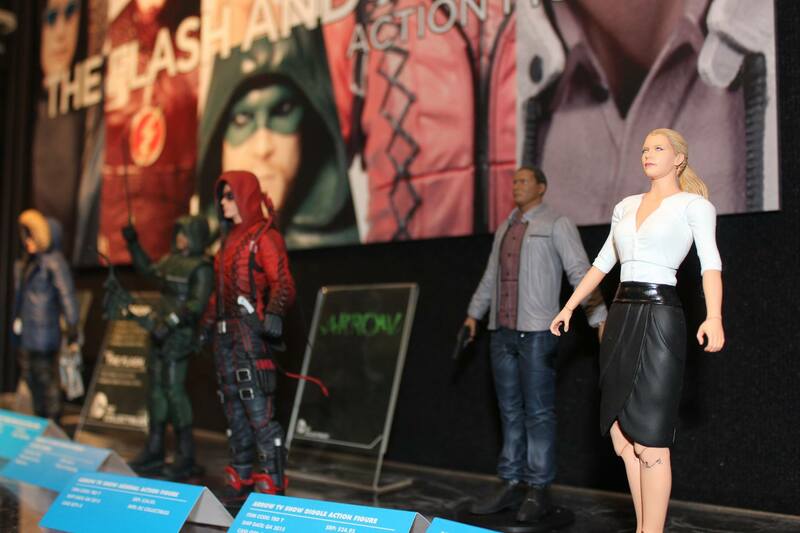 Yes, it’s great to see some new Arrow and The Flash characters, which start to ship in April 2015 (Season 2 Arrow, The Flash Felicity Smoak, John Diggle, Arsenal, and Captain Cold), as well as some props too (the Dr. 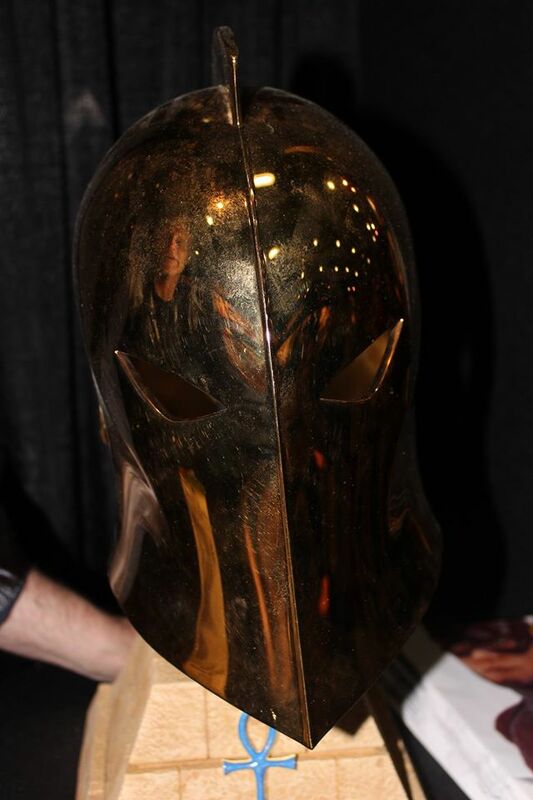 Fate Helmet being a personal favourite of mine, available October 2015 – I was told it was actually really hard to create as well – go figure), but the Justice League tarot cards (November 2015) were probably the prettiest things, in my humble opinion. 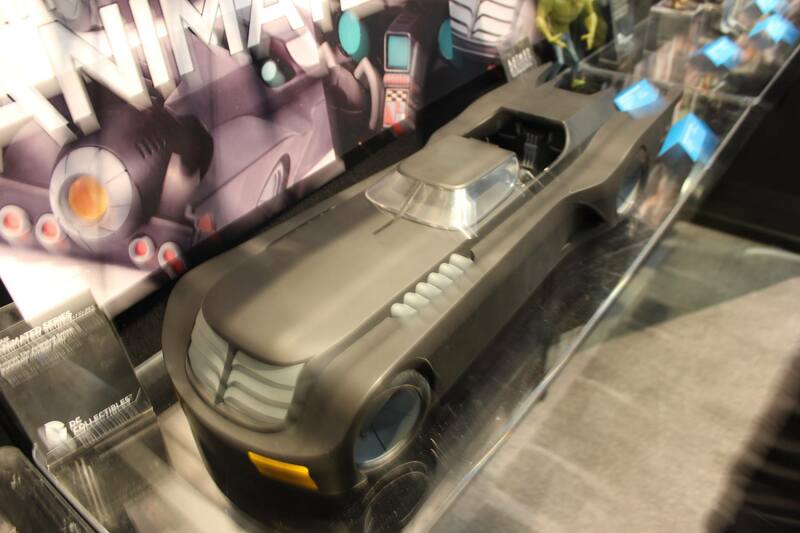 The most exciting thing in the booth for pretty much everyone was the Batman: The Animated Series Batmobile (October 2015). It was truly a sight to behold, with light up sections (front and rear, as well as the dash), and a retractable top. 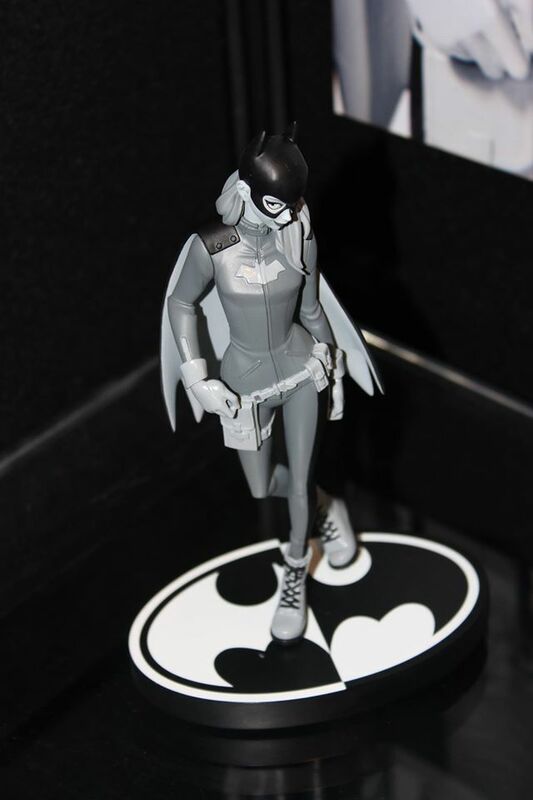 They’ve also added a number of figures for their Wave 4 (July 2015) and 5 sets (October 2015): The Riddler, The Penguin, Batman, Batgirl, Mad Hatter, Bane, Nightwing, and Scarecrow, as well as a Mask of the Phantasm two pack (January 2016), and most importantly, a Roxy Rocket (August 2015)! 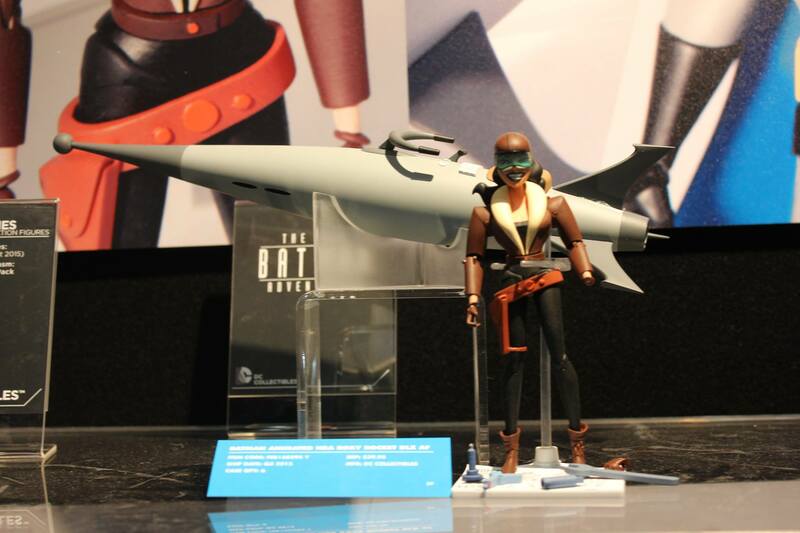 Another highlight of the booth were the Bombshell statues. These were pretty popular at the NYTF this year, I saw many incarnations of them through the weekend. 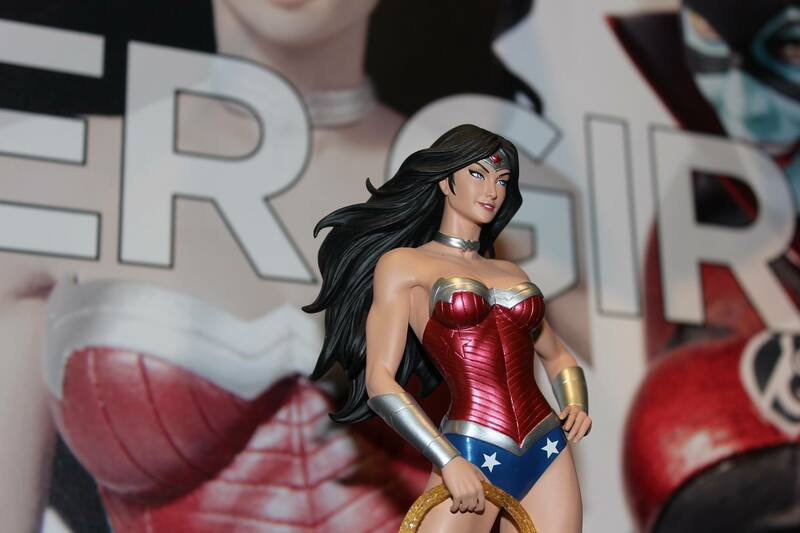 These versions from DC Collectables were truly breathtaking. I’m a fan of the Lois Lane one (August 2015), hands down, but Batwoman (September 2015) was totally awesome. 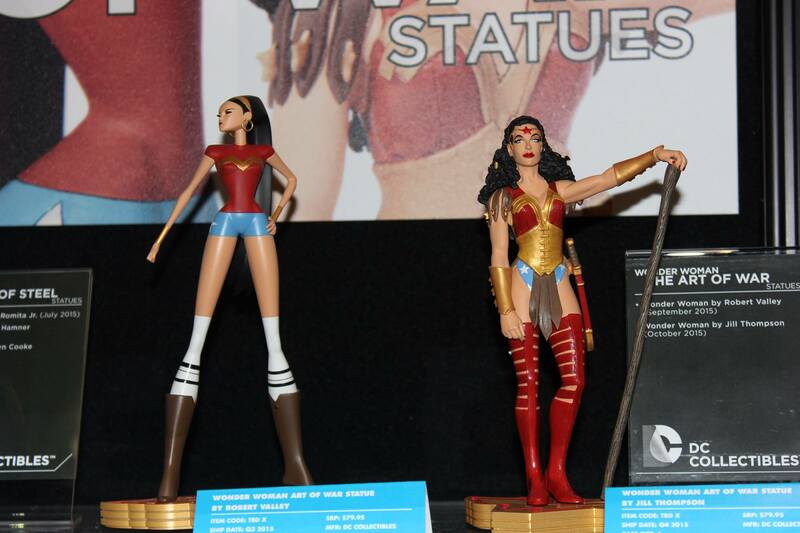 Yes, it’s the whole turn pose that many female characters are reduced to, but it’s just such a lovely statue, I don’t really care that much. Besides, she is supposed to be be a bombshell, and definitely lives up to that reputation. Catwoman ships October and Harley Quinn in November. 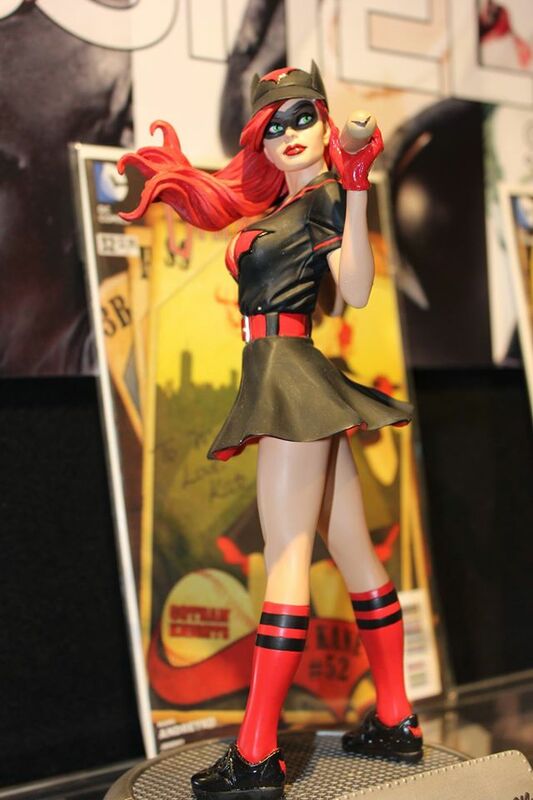 Another female statue that stood out for me was the Black & White original Harley Quinn concept designed by Paul Dini. 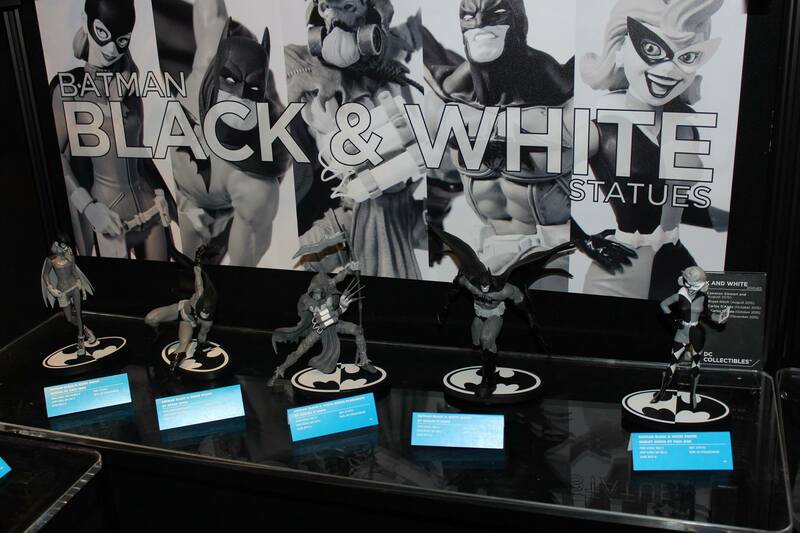 Other figures in this Black & White collection are two different Batmans, Scarecrow, and the new Batgirl design that I must cosplay as soon as I can! 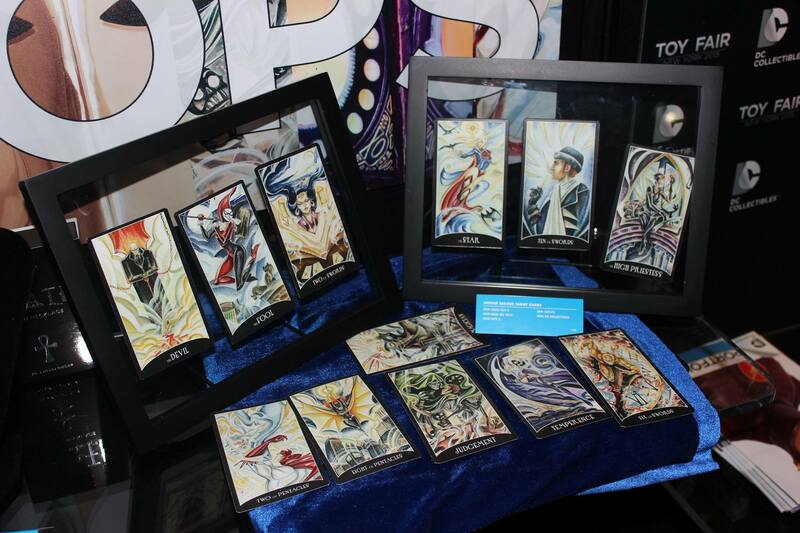 Maybe SDCC… All of these will be available later this year. 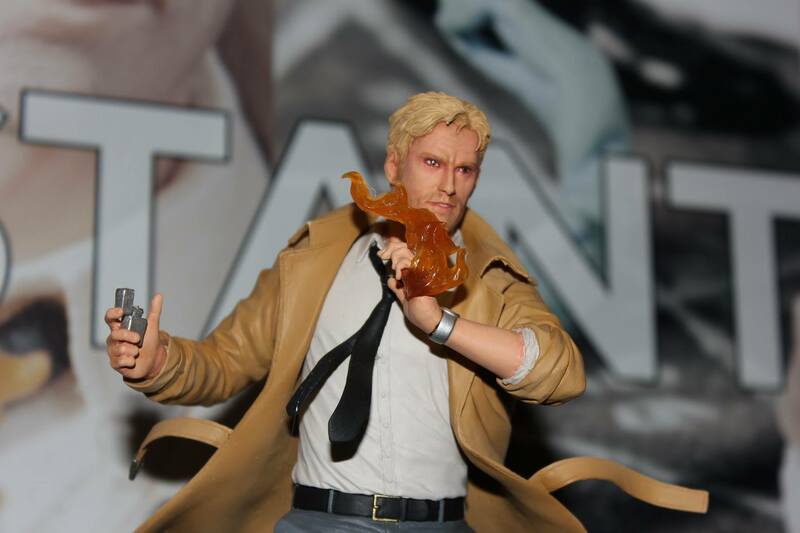 There were loads more on show at the NY Toy Fair, but for me, other notable highlights of the collection on show were the Detective James Gordon from Gotham (November 2015), the Black Canary and Green Arrow duo (February 2016), Wonder Woman by Robert Valley (September 2015), Constantine (October 2015), The Flash (September 2015), Wonder Woman Cover Girl (July 2015), and a clothed Starfire from Teen Titans Earth One (January 2016). 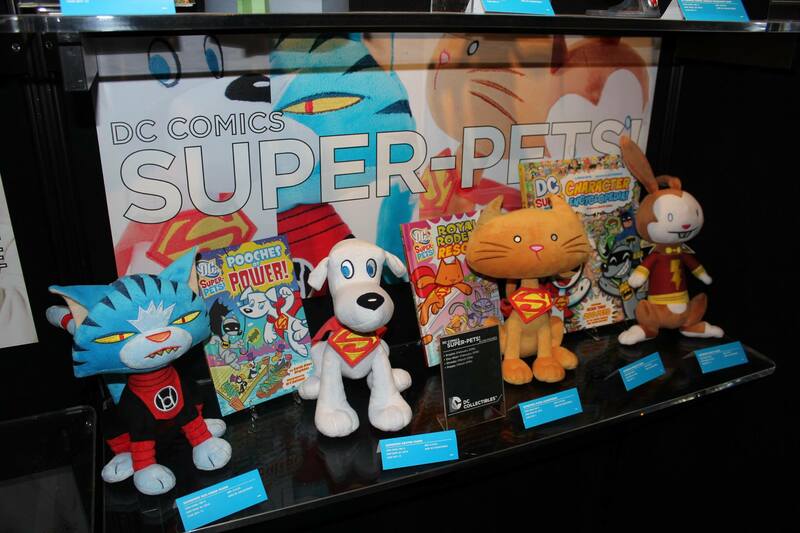 Finally, not to miss out on the plush market, they are also introducing Superpets, available in February and March 2016. I have to admit, beyond Krypto, I really didn’t know others existed, but then again, I am a Marvel girl. Dex-Starr (Green Lantern), Hoppy (Shazaam), and Streaky (Superman) round out the line. And they are all properly adorable. 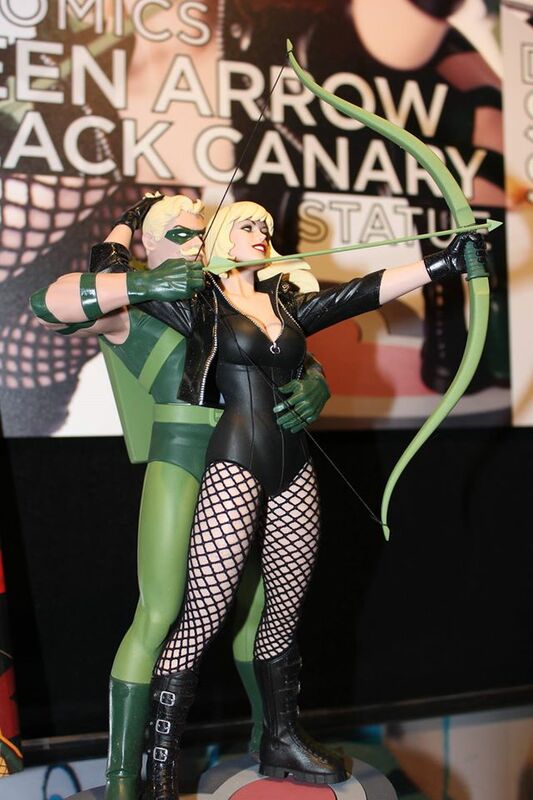 I really feel that DC Collectibles is really going for quality with their figures and statues. They truly are works of art, whether they are meant for display or otherwise, and I am really excited not only for what they had on display, but what else they can come up with.